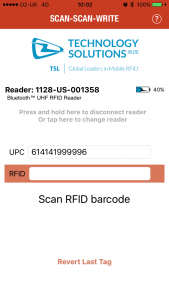 Scan the product’s GS1 barcode. 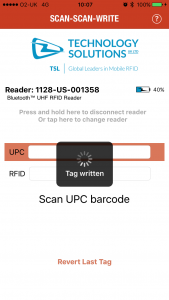 Hold a UHF tag close to the reader, away from other tags and pull the trigger. The new EPC is written and the tag, optionally, locked. 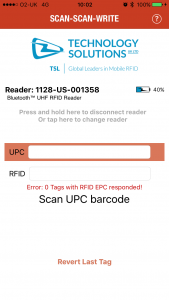 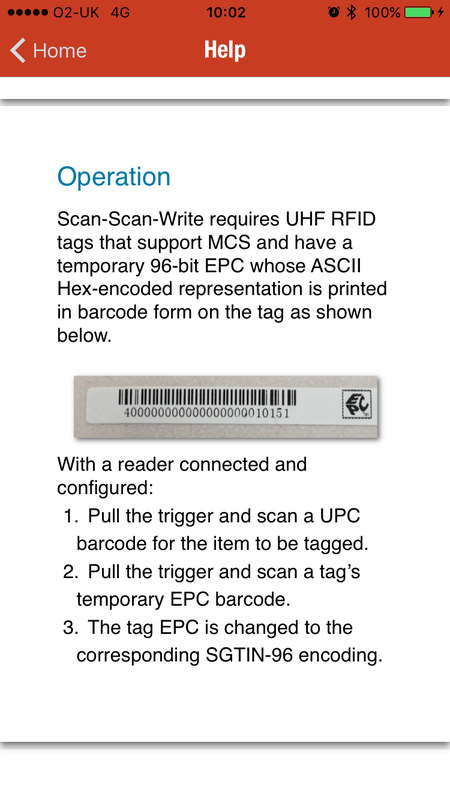 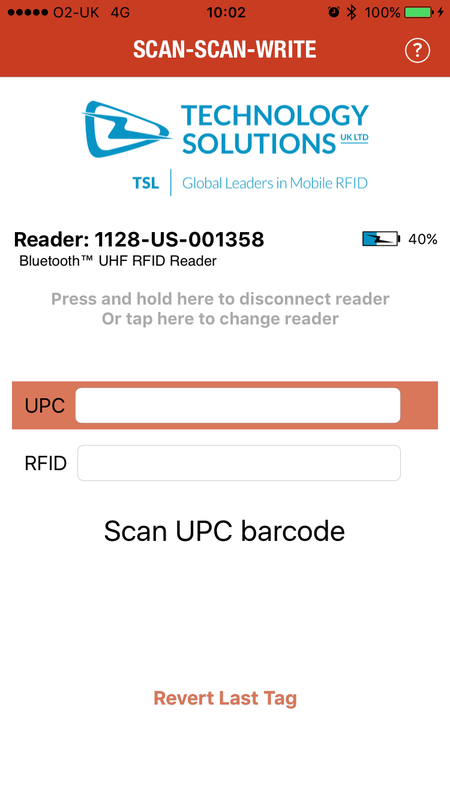 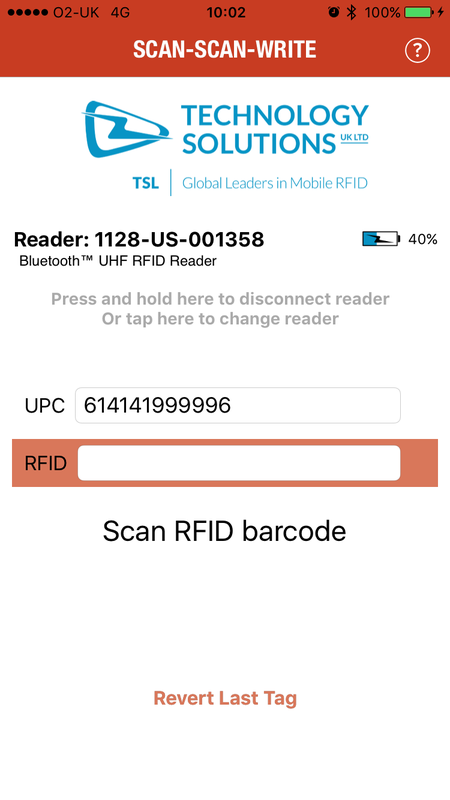 RFID Scan Scan Write can also be used with the Multi-Vendor Chip Serialisation compliant tags to provide uniquely serialised SGTIN-96 tags without the headache of managing serial number ranges. If you already have a manual scheme in place, there is a user-serialisation option too. 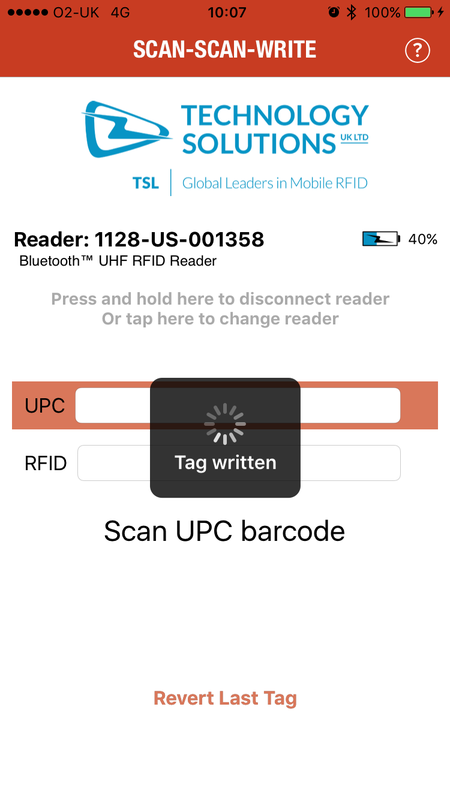 The GS1 encodings also support the tag-only Filter Value to allow selective reading of tags when multiple types are present. 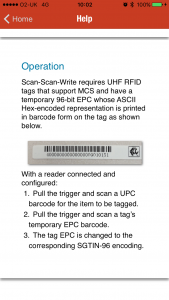 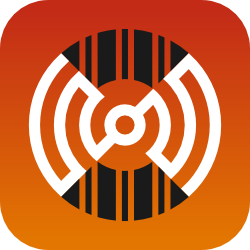 In addition to the GS1 compliant EPCs, RFID Scan Scan Write can use scanned Hex/ASCII data to provide flexible support for custom EPC encoding with optional, user-serialisation.